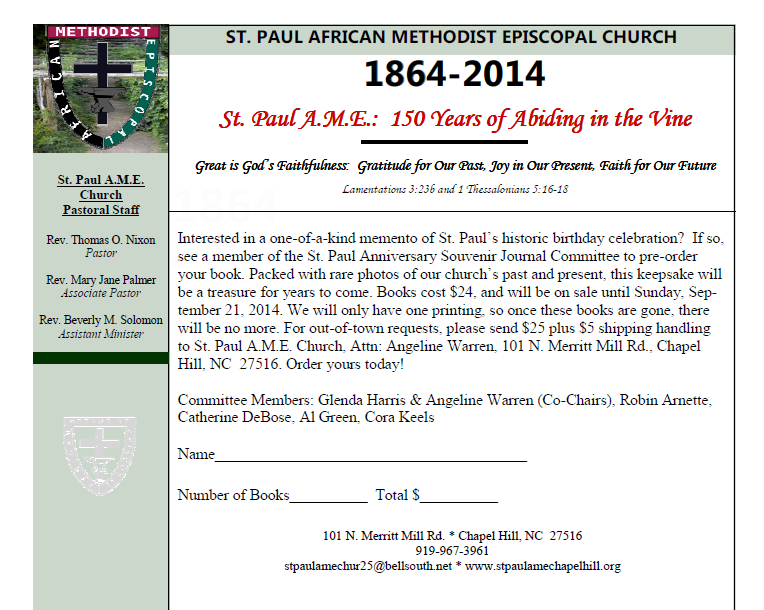 on Friday, September 19 St. Paul AMEC will be hosting a 150th Anniversary Gala Banquet. It will start at 7pm at the Sheraton Hotel in Chapel Hill. Our invited keynote speaker is our U.S. Senator, the Honorable Kay Hagan. Other speakers will include Justice Cheri Beasley from the NC Supreme Court, local mayors and other elected officials. 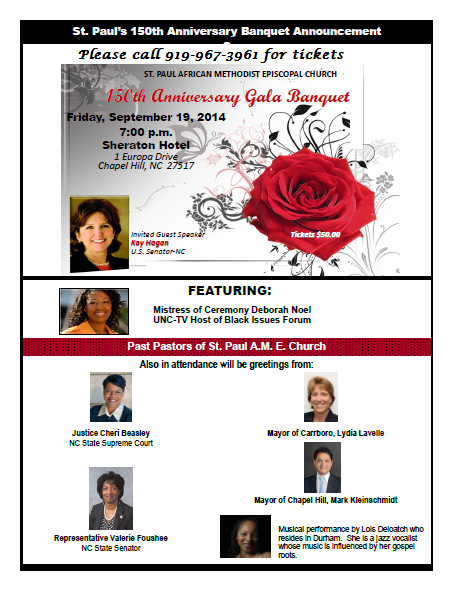 The Mistress of Ceremony will be Deborah Noel, Host of UNC-TV Black Issues Forum. Entertainment will be provided by Lois Deloatch, a jazz vocalist from Durham. Tickets are $50 and are still available. Remember to tell your friends and relatives. 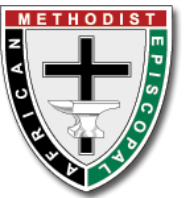 Several members have tickets to sell including Mary Keith, Johnnie Ponder, Paula Harrington, Curtis Jackson to name a few! WHY don't you B1S1 - that means Buy One Sell One!